Andy Taylor, attorney for the plaintiffs, said he will continue an appeal he has pending at the Texas Supreme Court, which has made no decision on whether it will hear the case. He has a response due in two weeks but plans to file sooner than that. Taylor will also file two appeals with the local appellate courts. One will simply contest Schaffer’s ruling, requesting an “expedited” schedule for issuing a decision. 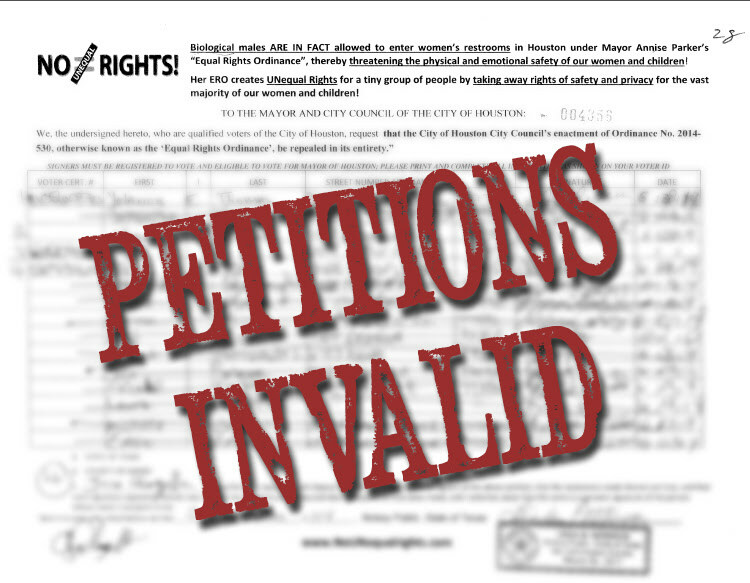 The second is basically a back-up, requesting the court order City Secretary Anna Russell to recount the number of valid signatures on the petition if it refuses to quickly rule on the first appeal. The plaintiffs are facing a time crunch; they need a favorable ruling by mid-summer in order to meet the August deadline to qualify for the November ballot. Geoffrey Harrison, lead attorney for the city, had a less charitable interpretation of the approach. “Having lost the election, lost the jury verdict and lost the judge’s ruling, plaintiffs misguided appeal sounds like a continuation of their three-ring circus of discrimination, intolerance and hate,” Harrison said. Not much to add here. According to this KUHF story< from right after Judge Schaffer's ruling, the city is now enforcing the HERO, which I had expected but hadn't seen specifically confirmed before now. You may notice that the world has not spun off its axis, and people like Dave Welch continue to roam the streets, so at least some of the dire predictions by the haters have already failed to come true. I'll keep an eye on the appellate action. The bad guys basically have about four months to get something on the fall ballot if they prevail. Let's all root for them to fail as hard as they did with the petitions.